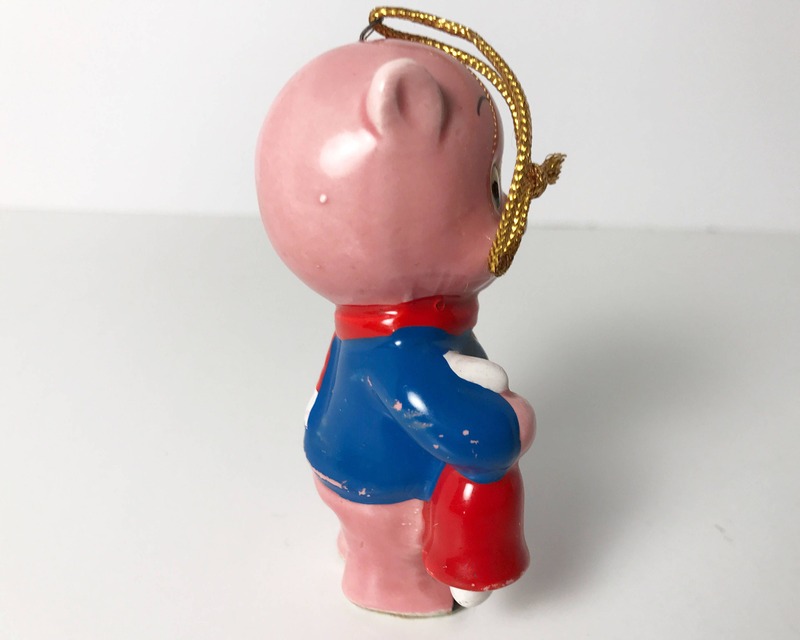 Charming vintage ceramic Warner Bros. Christmas ornament, made in Japan, copyright 1979. 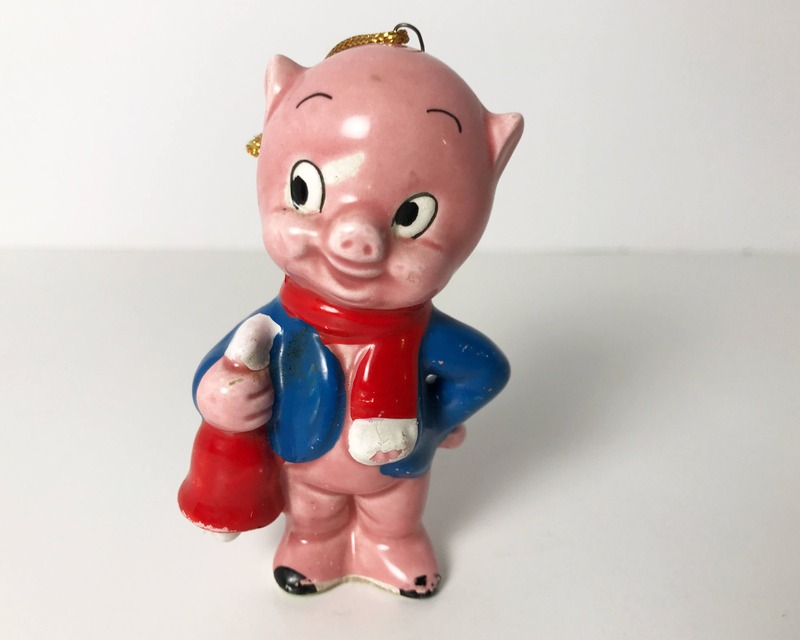 Looney Tunes character Porky Pig wearing a Christmas scarf and holding a Christmas bellm to hang upon your tree. 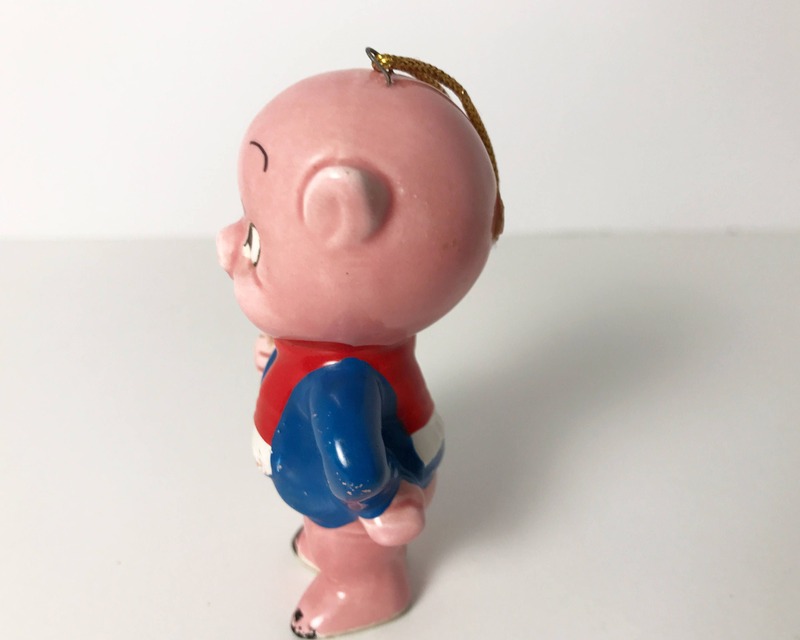 The paper label on the base reads "Dave Grossman Designs" as well as all the other pertinent information. 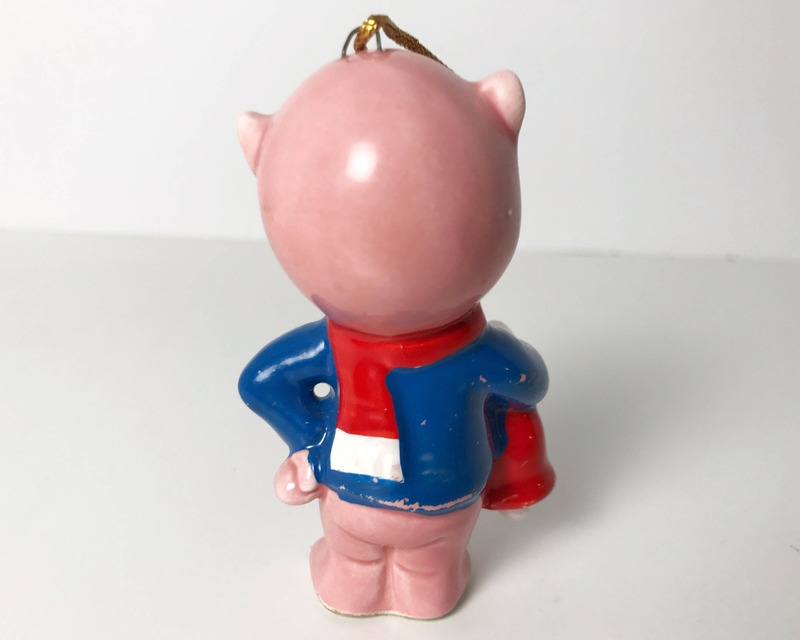 CONDITION: Very good, but the blue and red paint is over the glaze and there is missing color here and there. 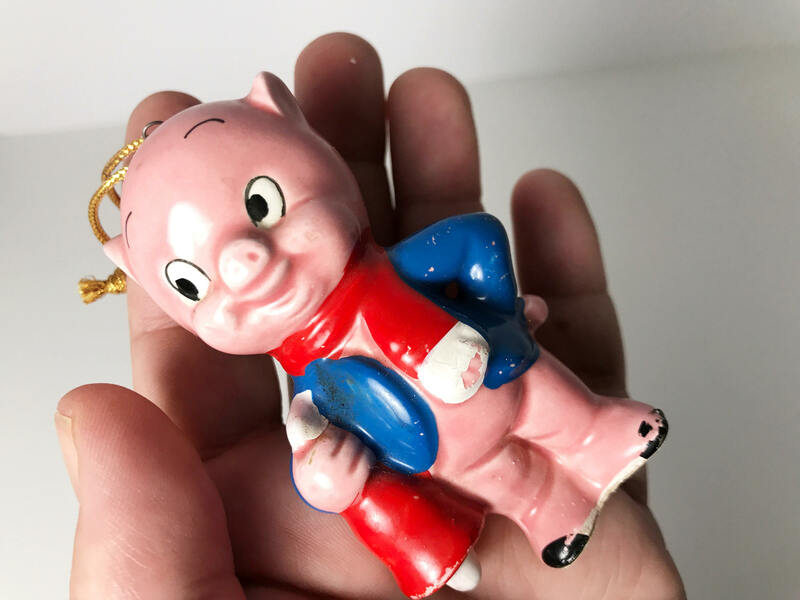 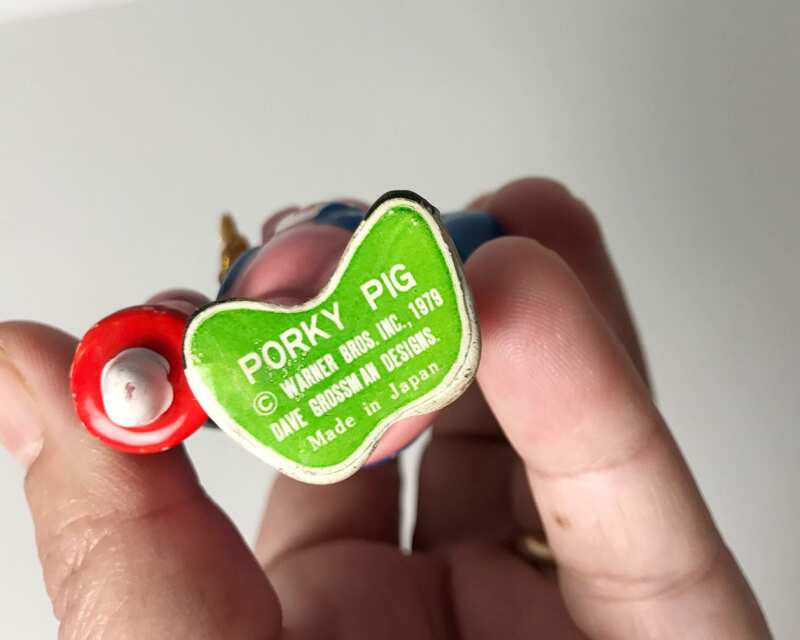 There is also a white mark on Porky's face which is a flaw from the time of manufacture, and not damage. 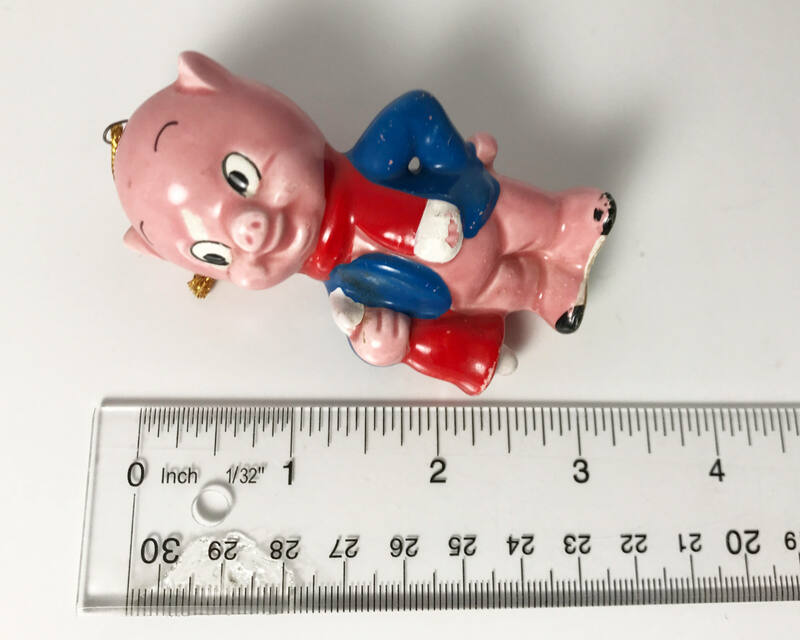 SIZE: About 3 1/2 inches tall.